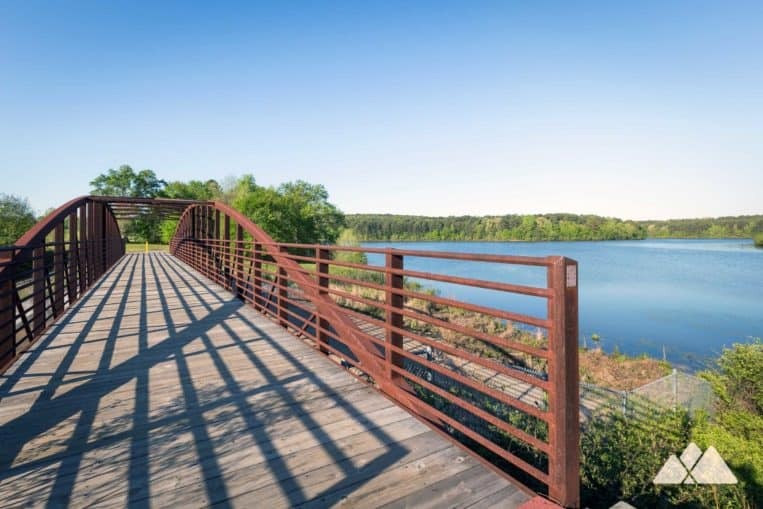 Take a scenic run at Tribble Mill Park in Gwinnett County, following a paved loop trail around the tranquil waters of a glassy lake and winding through a shady forest just north of Atlanta. 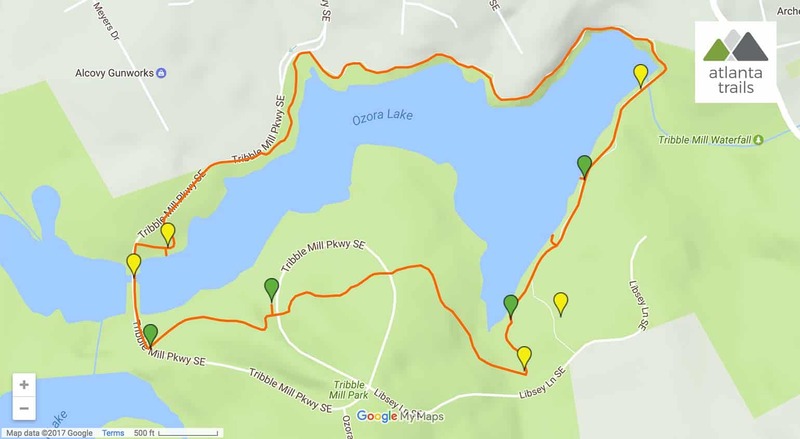 Ozora Lake is the centerpiece of Tribble Mill Park, offering fantastic fishing and boating just north of Atlanta. 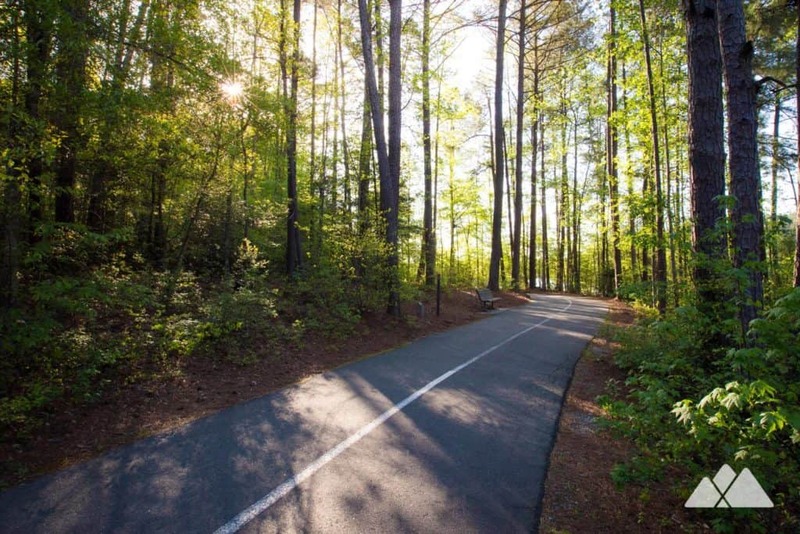 The park’s paved trail winds nearly level elevation around the lake’s often calm waters, offering 2.8 miles of mostly-car-free running and walking. The trail is popular with runners and walkers (especially on weekends). Multiple lots in the park offer free parking and easy access to the trail. The park is dog-friendly (leashes are required), with dog pick-up stations dotting the trail’s length. And it’s kid-friendly, too – the paved surface, gently rolling elevation and often-sighted wildlife make the trail popular with families. Be on the lookout for wildlife, in particular on the trail’s forested and lakeside sections: deer, geese, turtles, frogs, fish and songbirds frequent the lake and its shores. And the park offers kids a post-trail reward: a large playground area is located just off the trail on the eastern side of the lake. 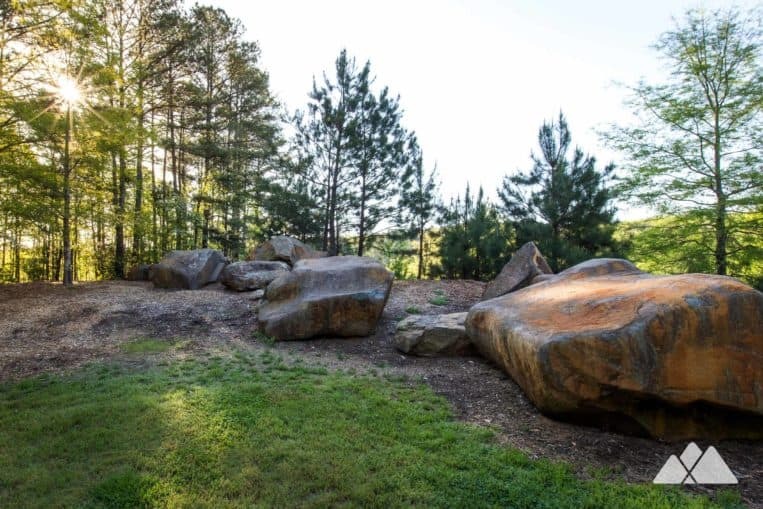 This forested, 700-acre park is located near Sugarloaf Parkway, between the Atlanta suburbs of Lawrenceville and Snellville in Gwinnett County ( view maps and driving directions). The park’s paved trail winds through four distinct landscapes as it rings Ozora Lake. 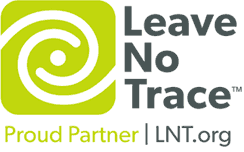 The trail’s southern quadrant travels boardwalks and explores a shady, mossy, fern-filled forest, passing several large-growth trees as it winds on a hill above the lake. The trail emerges from the forest, following the park’s entrance road on the eastern stretch, skirting the shoreline, passing large boulders and running over a bridge. Arcing east, the trail winds through switchbacks as it follows the lake’s contours, gently rolling elevation in a shady forest on the trail’s northern stretch. The trail curves southbound into the park’s cleared, recreational areas, crossing the lake’s spillway via a bridge and passing the park’s eastern parking and playground areas. 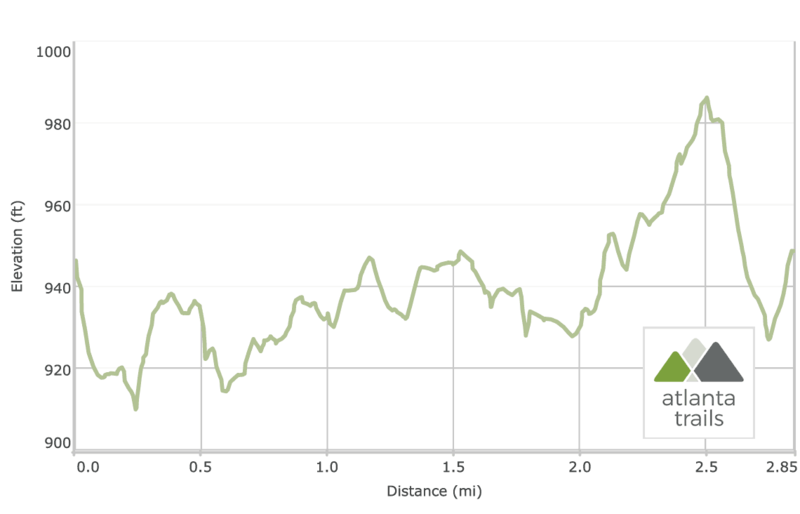 The trail’s landscape diversity adds to its popularity among runners: shaded forest provides relief from the sweltering summer sun, and the nearly-level trail offers an almost-5k distance that’s easily repeatable for longer runs. Free parking is available throughout the park.